What is Eden Reforestation Projects, and how are we involved? At Boobalou, for every order placed we donate 1 tree to Eden Reforestation Projects. So every single order you place through us not only plants a tree, but supports the continued employment of communities, their economical growth, ability to support themselves and their families, and helps the environment to thrive. Eden Reforestation Projects works in several countries including Nepal, Madagascar, Haiti, Indonesia, and Mozambique to help to tackle deforestation. The destruction of healthy forest systems happens for many reasons, but causes devastating long term effects. Healthy forest systems not only provide homes for wildlife, but help to purify water sources and replenish the soil for farming. When these healthy systems fail, farming becomes difficult for communities, and their ability to support themselves diminishes. So how do Eden Reforestation Projects help? 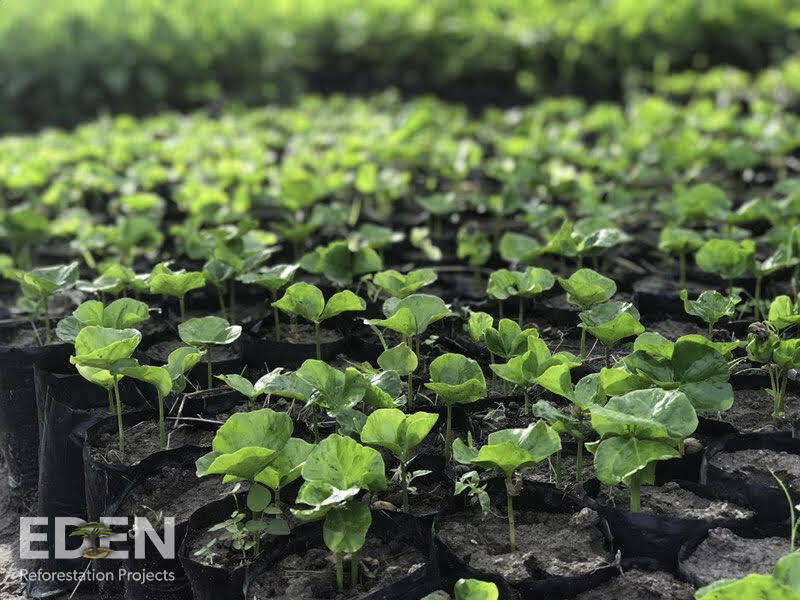 Eden Reforestation Projects not only help to plant trees and support reforestation in areas which desperately need it, they also work to employ people in the local communities to plant and care for the trees and reforestation effort. Through supporting the employment and economical safety of local communities, coupled with replenishing healthy forests, Eden Reforestation Projects are able to create long term and sustainable change. As the environment begins to recover, animal habitats are restored, and the soil is replenished and quality improved. The natural effect is that communities begin to thrive again. Their farms are able to increase their yield, thus supporting further employment and economical growth. They are able to provide for themselves and their families, and the risk of extreme poverty is reduced.